Get Your Book Done (Finally)! 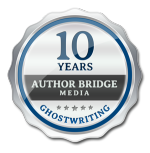 Struggling to get your book done... or even to get started? We have a great tool that can help and it's absolutely FREE! Just click the "Register Now" button, and we'll send it to you.